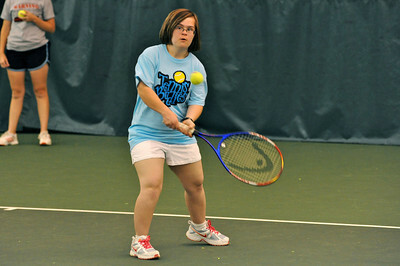 Special Olympics Nebraska, a leader in providing year-round sports, education and health-related programming for individuals with intellectual disabilities, will host over 1,100 athletes, along with their friends, families and over 400 volunteers at the 2013 Fall Games in Lincoln. Fall Games is the culmination of a year’s worth of training and regional qualification. Events this year include tennis, softball, golf, bocce, tennis and soccer. Competition will take place at venues throughout the Lincoln area including Abbott Sports Complex, Sun Valley Lanes, Mahoney Softball complex and Mahoney Golf Course. These events will be facilitated with the help of a crew of dedicated volunteers keeping score, distributing awards and working as timers. New to Fall Games is MedFest, a free health screening for Special Olympics Nebraska athletes in partnership with Bryan Hospital. Volunteer medical professionals will provide free sports physicals and health checks at Abbott Sports Complex on Saturday, August 10th. Other activities include Opening Ceremonies with keynote speaker Rhonda Blanford-Green, NSAA executive director and former University of Nebraska All American track star. Athletes will also enjoy a dinner provided by Hy-Vee and a Victory Dance celebration. The public is invited to support the athletes and cheer on their favorite teams! For a complete Fall Games schedule, click the link below.